After the limited 8-CD-box-set with the complete works of DIVE sold out rather quickly, we now present you with the definitive selection of the best, most famous and most important tracks of this electronic pioneer on a deluxe double CD. 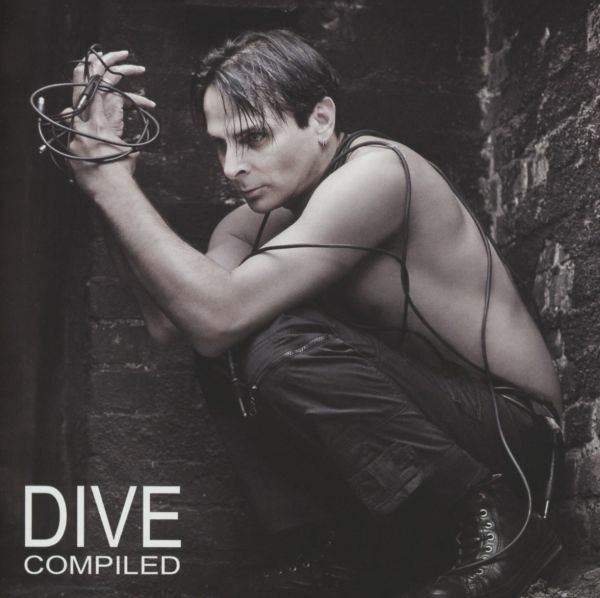 36 tracks spanning the entire career of Dirk Ivens seminal project: the perfect "best of"-release for a legend! Originally released in 1993 by the Italian imprint Minus Habens Records, 'Concrete Jungle' is the second album by this seminal project of Dirk Ivens (The Klinik, Absolute Body Control). A work considered as groundbreaking by lot of fans of early '90s industrial, noise and EBM. There are few electro-pioneers that are still active and successful and Mr. Ivens is one of them, inspiring a lot of acts to follow in the past three decades. 'Concrete Jungle' is released for the first time on vinyl in a limited/numbered edition of 700 copies. Includes all the original tracks plus the 'Extended Play' EP (1994) and some songs from various old compilations. "Grinding Walls" is the soundtrack composed by Dirk Ivens in collaboration with Sigillum S for a film created by the visual artist Petulia Mattioli aka KOMA. Originally released by Daft Records in 1995, this work is pressed for the first time on vinyl including all original tracks plus some bonus songs taken from "No Pain No Game" and other old compilations. Limited edition of 550 copies on double green vinyl, gatefold sleeve, printed inner sleeves and numbered card. "Let Me In", one of the most popular songs off Dives most recent album "Underneath" is now receiving a limited vinyl release featuring two exclusive mixes of the title song, plus 2 exclusive new tracks.Driven by straightforward beats and catchy sequencers that clash with Dirk Ivens trademark hauntingly hoarse larynx in the most exquisite fashion, "Let Me In" is a fascinating mix of fever dream and club tune. The new Dive-maxi features the hypnotic floor filler in two previously unreleased remixes by Mildreda and Attacke. On top of this, this special release features the mesmerizing ambient instrumental "Hollie" and the delightfully raw Suicide-Cover "I Remember" as exclusive new and unreleased tracks. This strictly limited collectors item is released on 180g vinyl with a lavish cover artwork and is a must-own for all fans of Dirk Ivens music, as well as for all aficionados of special underground vinyl releases. After a hiatus of more than a decade, Dirk Ivens' project DIVE finally returns with a new sign of life. For the new album "Underneath", he has again teamed up with Ivan Iusco (who he worked with on "Concrete Jungle") and Rafael M. Espinosa (his collaborator on "Behind The Sun".) The result is a maelstrom of minimalist Electronica that ranges from fascinating to unsettling and that no other act can quite accomplish in the same way: Stripped-bare rhythms, dark, machine-like sequencers, psychotic synth-sounds that are expertly intertwined with cleverly placed noise-attacks and the distinctive, feverishly manic and ghostly raw voice of Dirk Ivens towering above it all. 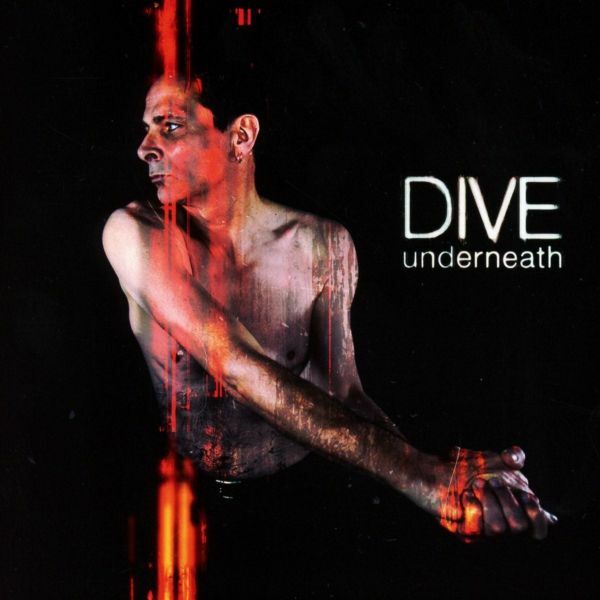 Some tracks, like the groovy "Far Away" or the hammering "Something" have turned out surprisingly catchy, but as a whole "Underneath" is a menacing behemoth that relentlessly pulls the listener into its dark machine world. The album feels like a David-Lynchian fever dream, oscillating wildly between cutting Industrial-loops, dark Minimal-art and groovy Electronic-Body-beats that converge into a physical tour de force. In their effectively relentless reduction of their sound to the bare necessities, DIVE yet again manage to create a one-of-a-kind experience. 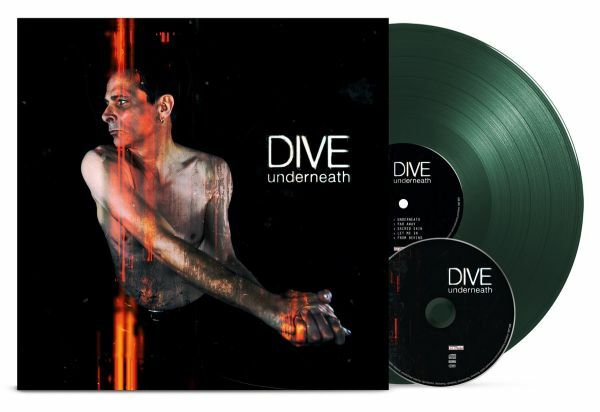 A limited LP edition in classy dark green vinyl, containing the CD in a slip case as bonus.